We offer a wide range of solutions for setups dealing with electric, acoustic, ultrasonic and optical waves. 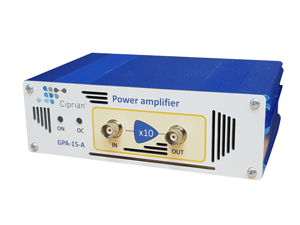 Ciprian develops and manufactures power amplifiers that are targeted for generating electrical signals up to many hundreds of Volt in amplitude and working up to 20 Amps. 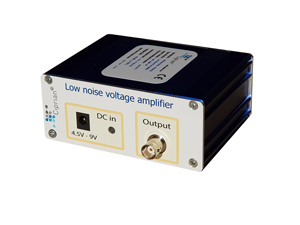 These amplifiers can be used for non destructive testing (NDT) applications in acoustics, ultrasonics, piezo actuators, MEMS, as well as for a variety of material processing technologies. 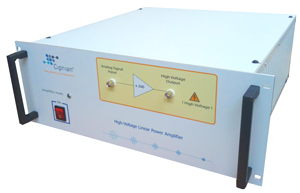 Ciprian’s low-noise pre-amplifiers enable the study of electric signals with weak amplitude (down to the µV range). 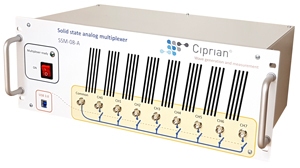 Ciprian’s pre-amplifiers are also useful when working with signals in the mV range: they guarantee the best possible signal-to-noise ratio for measurements made by a scope or a digital acquisition card. These amplifiers can work up to ±15 V and deliver up to 1 A over an ultrawide bandwith ranging from DC to 30 MHz. They are stable into capacitive and inductive loads. Ciprian’s high voltage multiplexers switch electronic signals between one common connector and many other connectors. These switches are bidirectionnal and are controlled via a USB3 link from a host computer.